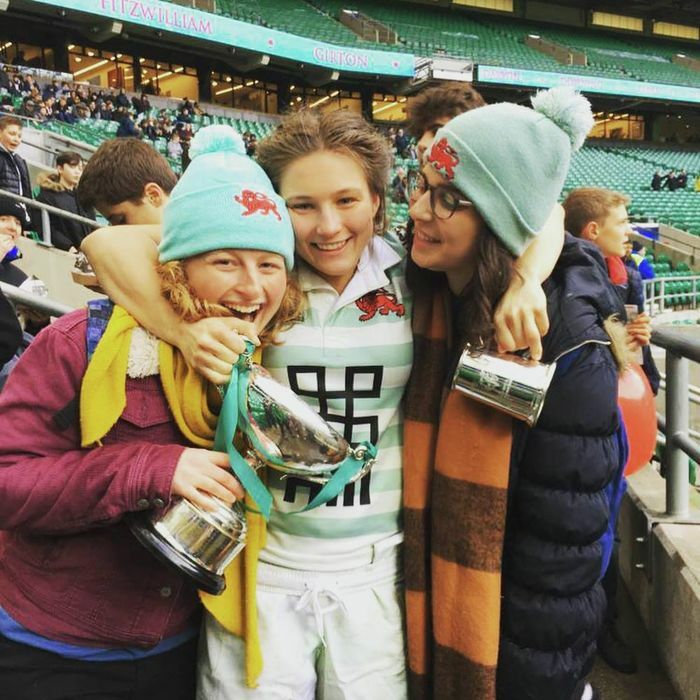 Cambridge University Rugby Union Football Club Women’s captain Kate Marks has named her squad for the historic 30th anniversary of the Women’s Varsity match, including ten of her team-mates from last year’s 24-0 triumph. On the men’s side, 29-year old captain Nick Koster, former professional at Bath and Bristol, is one of 10 returning Blues in the match day 23, as they look for a repeat of last year’s 20-10 victory in this year’s 147th Varsity match. The Cambridge side have been impressive in the build-up to Varsity and are currently on the back of a four-match winning streak, including particularly impressive wins against Trinity College Dublin and an experienced Steele-Bodger’s side. The Cambridge women’s side is boosted by the experience of last year’s captain Lara Gibson at full-back, while centre Mary Coleman is set to win her third Blue. Vice Captain and Number Eight Emily Pratt has also particularly impressed this season with her strong ball-carrying. The female Blues have been dominant in BUCS Midlands 1A this season, winning all six of their matches in one-sided fashion. Though Oxford play in a tougher division (the BUCS South Premiership), they have yet to win in any of their seven matches this season, and Cambridge will be strong favourites to retain the title on the 6th December. Cambridge’s relatively youthful men’s side will be hoping that last season’s Alistair Hignell winner scrum-half Chris Bell can repeat his try-scoring heroics of last year, while 20 year-old Jake Hennessey, former Harlequins and England Sevens centre, has been in fine form this season, scoring four tries in a 45-14 victory against the Pacific Islanders, scoring two tries in the win against Trinity College Dublin and scoring the winning penalty in a narrow win against Crawshay’s Welsh XV. There are also high hopes for promising fresher Joey Gatus, an academy player at Yorkshire Carnegie, who has experience of playing at Twickenham after featuring in last year’s National Schools Under-18 final. Oxford’s men’s side however, have also been in excellent form this season, winning seven of their ten games, and putting up a strong fight in a 26-20 loss to the Canadian national team. This year’s side also boasts a number of players with great pedigree in the game. Most notably, 33 year-old former England and Harlequins lock George Robson, studying for an MBA at Keble College, will start at lock while 31-year old captain Dom Waldouck is a current Newcastle Falcons centre, having previously won the Heineken Cup with London Wasp’s and represented the England Saxons (the England men’s second national rugby union team). Waldouck, playing at centre, will be joined in the back-line by the former England under-20, London Irish and Saracens professional Ben Ransom and scrum-half George Tressider, formerly of Leicester Tigers. In the forwards, Oxford will be calling on the services of former England Under-20 international and Worcester Warriors prop Joe Morris, as well as Charlie Pozniak, former Sale Sharks under-18 captain. The stage, then, is set for the big day on the 6th December, when everyone connected to Cambridge University will be hoping for a repeat of last year’s double success.